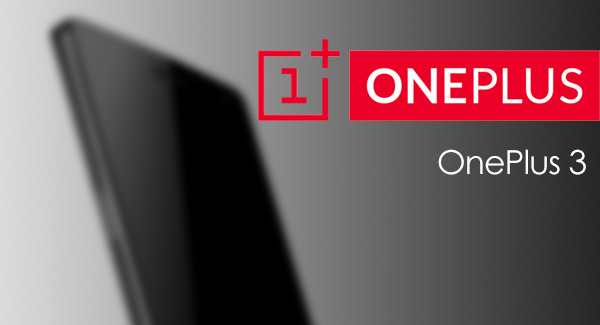 The much anticipated OnePlus 3 handset is about to make a splash when in is released in May 2016. The much anticipated handset will be available from the OnePlus website, as well as eventually via several telecom service providers. Many users are looking forward to getting their hands on the OnePlus 3 in part due to the fact that it is rumored to be able to charge from empty to full in a scant 15 minutes - and in today's world of heavy use and media applications that's good news for all power users. The new OnePlus 3 is a bit of a departure from its predecessors in terms of design. Leaked images show that it's going to be more iPhone inspired whcih means a sleek new look for the low price smartphone - again, great news for those who want top of the range smartphone functionality but don't want to spend the amount of money that the big names in the smartphone game are asking for their flagship models. Users are also waiting with bated breath to see if the OnePlus 3 will come in two models - one supplied with 4GB RAM with 32 GB of storage and the other with 6GB and an impressive 64Gb of storage. The rest of the hardware is pretty impressive for the price point that this phone is hitting. There will be a Snapdragon 820 processor, a five inch 1080p screen and a more than adequate 16mp back camera and 8mp front camera. Android Marshmallow will be doing the honors as an operating system. As far as functionality is concerned consumers will be looking forward to the NFC support for the OnePlus 3 - something which was absent from the OnePlus 2 and sorely missed by many. The OnePlus 3 sets itself apart from the competition on price alone. In the U.S. it should retail for just over $300 cash. That's a significant saving when compared to the models that it's coming up against from the competition such as the Samsung Galaxy S7. Even though the OnePlus 3 specifications look a little dated when going up against other heavy hitters it still represents incredible value for money and in all honesty no one is going to miss some of the cutting edge functionality and specifications of the latest and greatest phones that have just hit the market.